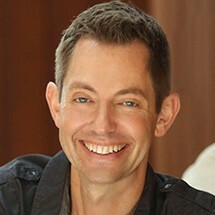 Ocean Robbins is co-founder and CEO of the 350,000+ member Food Revolution Network; adjunct professor in Chapman University’s Peace Studies Department; and co-author with his dad, best-selling author John Robbins, of Voices of the Food Revolution. He launched Youth for Environmental Sanity (YES!) at age 16, and directed the organization for 20 years. Ocean has spoken in person to more than 200,000 people and facilitated hundreds of gatherings for leaders from more than 65 nations. He is a recipient of many awards, including the Freedom’s Flame Award and the national Jefferson Award for Outstanding Public Service.